There are many people out there who dream of having the same beautiful hair that they see on television and in magazines. And many of these people are willing to try just about anything that promises beautiful, glowing hair. This makes many people ask, is olive oil good for hair? When you use olive oil for a hair conditioner, you will see a difference in your hair. Your hair is going to be more vibrant, stronger and healthier looking overall. Dandruff often results due to a dry scalp, which then becomes irritated and leads to other concerns. With the use of olive oil, you can moisturize the scalp, which aids in decreasing dandruff. When the weather is dry and cold, many people experience dry and frizzy hair, especially on the ends of each strand. When this occurs, the hair looks messy, in spite of the fact that the hairstyle may be new. Olive oil can help subdue the hair that is reacting to this dry and cold weather by adding the extra moisture that the hair needs. 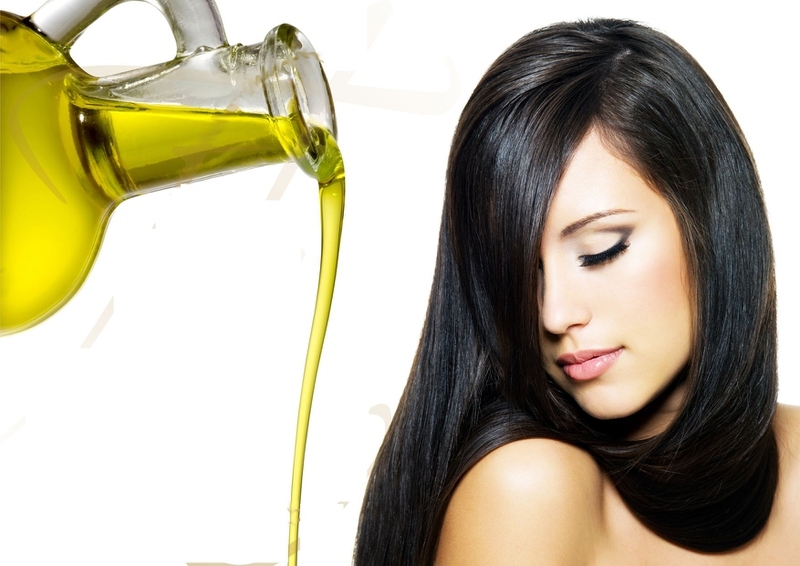 Olive oil has vitamin E and A, as well as antioxidants that can help to make the hair strands stronger and shinier. Studies have shown that regular use of olive oil as a conditioner can add needed nutrition back into each strand of hair and help with the shine. Olive oil for hair growth is also an added positive when using regularly. Hair that is moisturized is much easier to manage. When wondering if olive oil is good for hair, consider the fact that it moisturizes to the point, that straightening or curling the hair becomes much easier. Hair that looks good is great, but hair that also feels good is what most people want. Since olive oil has moisturizing and conditioning proprieties, it can add silicone that your hair needs in order to feel naturally soft and vibrant. Place the olive oil into a microwaveable bowl or cup to warm up. A half cup is often the recommended amount to use. Warm this up to the point that it is warm, but not too hot. While warm, put one tablespoon of the olive oil onto the palms of your hands and rub together. Starting at the roots of your hair, massage the oil into the scalp with your hands. Continue this process until you get to the tips of the hair, putting more olive oil on the hands when this is needed. Once all the hair has been saturated, wrap your hair with a shower cap or use an old towel to wrap your head and hold the heat in the olive oil. Let the olive stay on the hair for 5 minutes for a light conditioning, or 45 minutes for a deeper conditioning. Rinse the oil from the hair, then shampoo and condition as you normally would. There are several other uses for olive oil as well. Not only is olive oil good for hair, but it can be great for other uses. For both men and women, olive oil can be applied to the area to be shaved. Thanks to the oiliness of the olive oil, it can help to avoid razor bumps and even cuts from the razor. Rub olive oil onto the face or body, until glistening and then shave as normal. Thanks to the moisturizing properties of olive oil, using this for eczema is great. Simply rub some olive oil into the palms of hands and rub on the affected areas. If you have a squeaky door, simply place a few drops of olive oil on the hinges, and the squeak will be gone. Simply put olive oil onto a cotton ball and swipe across the eye lid to remove any eye makeup that is being used. It is a safe, gentle and effective solution to use. Inexpensive when compared to furniture polish, olive oil can help to add the gleam and shine back into furniture. Simply put this on a cloth and wipe over the furniture to be polished. It can also be used on silver and gold to bring out the shine. If you suffer with ear wax buildup, place a few drops of olive oil into the ears at night for a few nights. In 3 to 4 nights, the ear wax will break up and be easier to remove. Babies have delicate skin, but olive oil can be used as a great diaper rash treatment. Simply rub this onto the affected area, and overnight the rash will start to heal. In order to be effective, makeup brushes have to be cleaned from time to time. Olive oil combined with antibacterial soap can remove any and all makeup that may be caked into the brush. When jackets get older or due to wear and tear, zippers can become stuck from time to time. Use a cotton tip with olive oil to rub on the zipper. The zipper will start to move with ease afterwards. Cracked heels are often embarrassing and uncomfortable. After using a pumice stone on the heels, soak olive oil on your heels, then wear socks all night to lock in the moisture. Server responsed at: 04/25/2019 10:11 a.m.